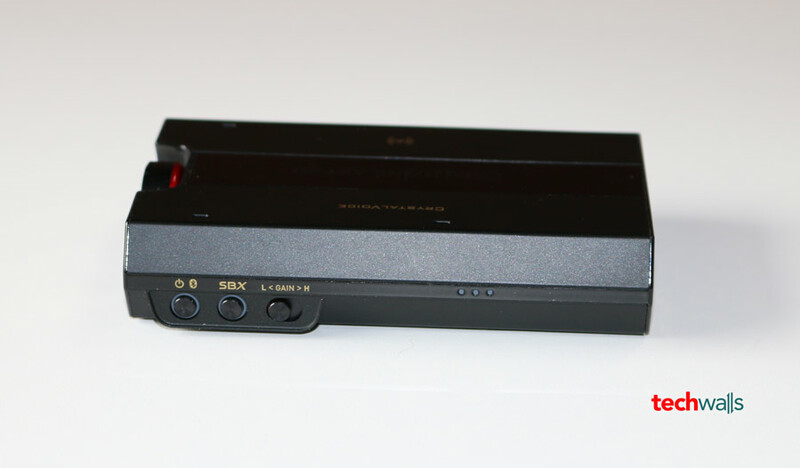 Sound Blaster E5 is the latest effort of Creative Sound to deliver a great audio experience at an affordable price. The E5 is the combination of high resolution USB DAC and portable headphone amplifier, it is boasted to feature best-in-class components and technologies to satisfy audiophiles. 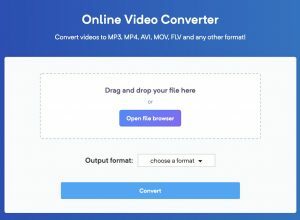 Can it really make the difference and is it worth purchasing? Let’s check out my review. 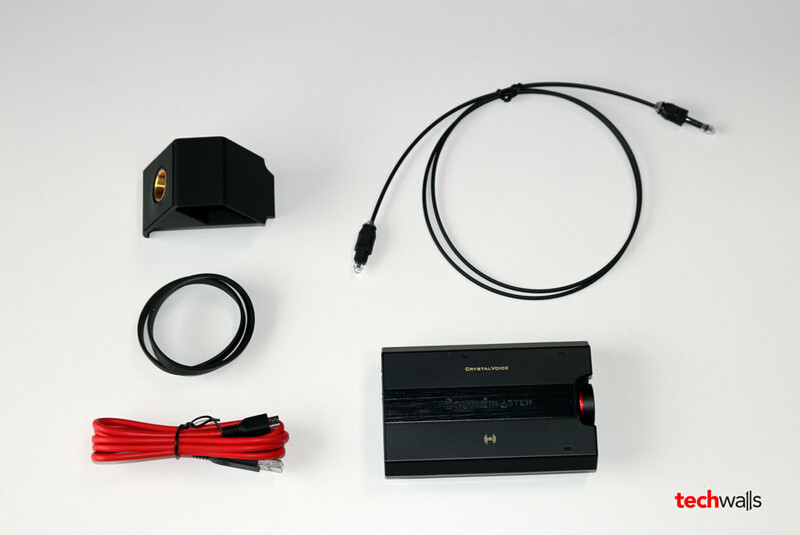 Inside the box, you can find the Sound Blaster E5, a desk stand, a microUSB Cable, two Elastic Bands and a Mini TOSLINK cable. The E5 is not as compact as some portable headphone amplifiers like the Beyerdynamic A200p. However, we should remember that it is both a USB DAC and a headphone amplifier, and if you compare it to other complicated and bulky setup, this is still a lot more portable. It is a bit thick but it totally can fit into your pant pocket. The unit comes in black. Although it is made mostly out of plastic, there are still some aluminum parts and it feels pretty sturdy and sleek. Power/Bluetooth button, SBX button, headphone gain switch and battery indicator. Two 3.5mm headphone jacks and volume control knob. Line/Mic/Optical In, Line/Optical Out, USB Host and mini USB ports. I must say this is the most versatile portable headphone DAC I’ve ever used. Apart from the flagship Cirrus Logic CS4398 DAC and Texas Instrument TI6120A2 headphone amplifier, it also features Bluetooth 4.1 LE with NFC technology, Bluetooth streaming codecs such as aptX, aptX-LL, AAC and SBC, and built-in dual microphones. Therefore, I can find its usage in a lot of situations. I can use it to play audio wirelessly from a Bluetooth device, play audio via USB Host port, use it as a DAC/AMP for my computer, play audio from a line-in/optical-in device, record audio to an iOS device or computer and answer phone calls. 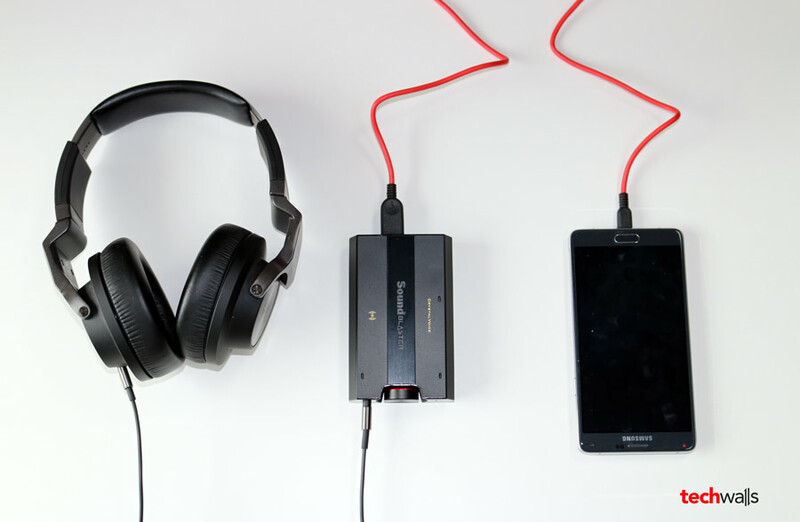 The device does not only work with headphones but you can also connect it to PC speakers or receivers with a 3.50 mm plug or the included 3.50 mm Mini-TOSLINK cable. So, basically you can turn your existing home audio system into a wireless system and stream audio from your mobile devices easily. You might be overwhelmed with all those E5’s features and wondering if the audio quality is up to par. I will give you the answer shortly. 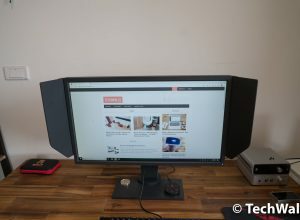 I’ve used the Sound Blaster E5 for nearly 2 months and I’m quite satisfied with its performance. Both wired and wireless functions work great but I often use it as a DAC/AMP for my MacBook most of the time. The three headphones I’ve used for the test are AKG K545, Sennheiser HD600 and Beyerdynamic T90. I often disable SBX feature because I hate processed sound and playing lossless files doesn’t need it at all. As you probably know, the HD600 and T90 are more difficult to drive, so I often have to turn the audio level to maximum when connecting them directly to my MacBook. With the E5, now I can set the volume at just 60%. Apart from louder sound, I can also see an expanded dynamic range, slightly warmer lows and clearer vocals. Notice that the differences are subtle, probably because my devices like MacBook Pro, iPhone and Samsung Galaxy Note 4 have pretty good DAC. 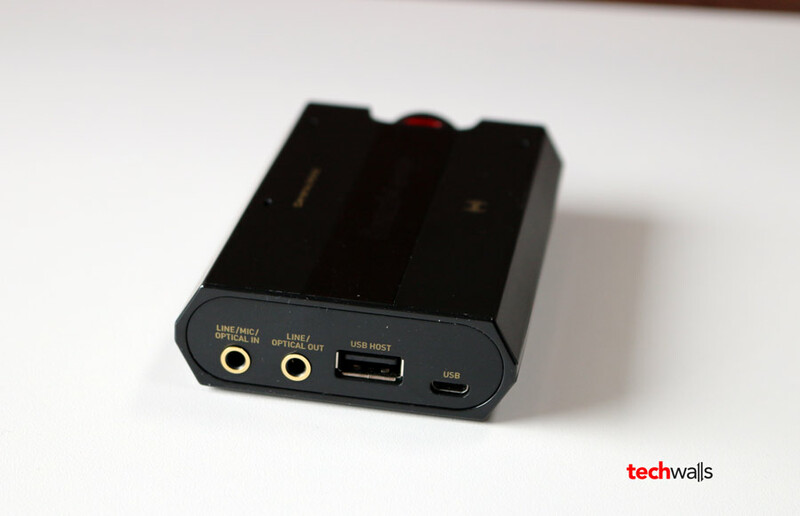 However, the improvements are noticeable and therefore, this is a must-have if your PC or smartphone has mediocre sound card or DAC. A combination of DAC and AMP in a portable design. Can drive high-end headphones with up to 600 ohms of impedance. Deliver a warmer and clearer sound. A lot of useful features that other DAC/AMP don’t have. Charge phone when connected via USB. The Creative Sound Blaster E5 is on sale on Amazon. 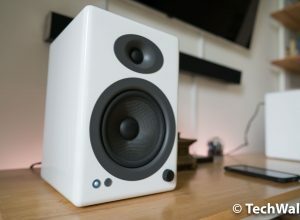 With all those features and great performance, this is absolutely a steal and I recommend it if you want to upgrade your sound system. 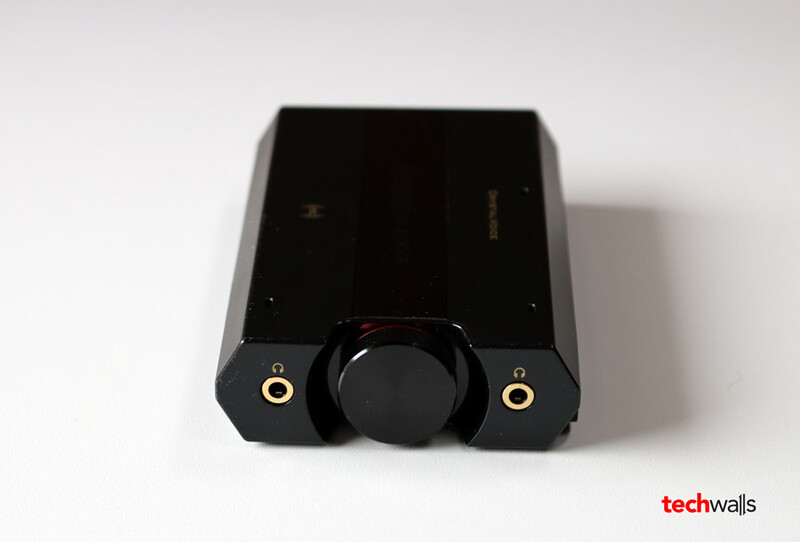 A high-quality DAC/AMP with a lot of features and affordable price. This feature came with a firmware upgrade for the E5 in May 2015. I think what the reviewer is saying is that the Creative-E5 fails to charge his Note 4 while being used as it is designed to do. I got this unit some weeks ago and just wanted to say it is fabulous. The reason why headphone amp A sounds better than amp B has close to nothing to do with the DAC (they are extremely high-end anyway) but with the amplifier used. These days manufacturers can simply rely on amazing silicon like the TI TI6120A2 used in this device. I would have been willing to spend much more for a headphone DAC but I am glad I got this one. 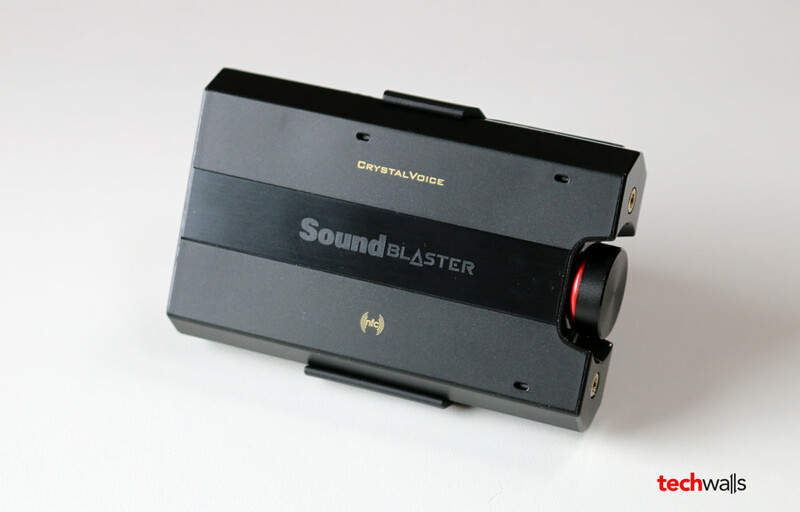 Soundblaster delivers: great, hassle-free integration (e.g. 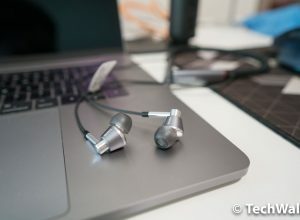 no camera connection kit required for iPhone users – the Lightning cable is all you need), impressive connectivity (Bluetooth / AptX really is an impressive combination – I am currently listening to Chesky’s 30th anniversary collection record and cannot believe a Bluetooth connection is involved). I don’t need to elaborate on sound quality since it’s simply outstanding. Driving my fairly demanding Sennheiser HD 580 headphones seems to be the easiest thing for the E5. It is very important to note that for 120 ohms and up the gain setting should be switched to ‘high’. All perfect then? Not quite. Charging the device is a bit slow if it is done using a mobile computer. This is *not* a major problem since one can remain independent for approx. 7-8 hours. That means 1-2 weeks for me. The 2nd shortcoming is related to having to drag two devices around (mobile phone + amp). That’s ok when going on holiday but not on a daily basis. I am seriously considering to leave the device in my office and keep on using my receiver’s headphone output at home. As far as listening on the go is concerned I will not bother upgrading my iPhone 6 since background noise in the city does not justify something as high-end as the E5. This is a nice device all positive things have been mentioned. But not the heat issue. Especially while driving a headphone while charging the casing gets hot. It’s made of thick plastic so imagine the temperature of the components especially the battery. If a li-ion accu gets too hot it can have a runway effect. Energy in the accu will produce more heat instead of current. The accu damages while expanding its volume in the small caging. Resulting in a bulging case. Solution drill the casing full of holes for ventilation. By by looks but at least the thing will work for years to come instead of months. The person before nailed it. Good sound and connectivity bad a flawed design. After longer use in elevated temperatures the battery will bulge. Google the foto’s. Mine still works after a few years but it’s damn ugly. Well that’s because I drilled the crappy housing full of ventilation holes. Yeah crappy housing. AND the USB in is noisy when used as PC DAC. I noticed the analog out is noisy anyway but only if you use a cheap power supply. Anyway too much cramped in a tiny almost melting plastic box. Typical soundblaster 48kHz standard sampling rate which they ‘ve seem been using forever. However excellent Bluetooth implemented and in the right circumstances the sound is really good. I like mine also drilled it full of holes used in a ventilated place. There’s nothing out there with CS4398 and all the connectivity. I think the chip they used still beats newer designs. Still the price you pay is too high.